From the City of Light to the City of the Future, five distinguished tastemakers are making indelible impressions on the world of luxury. 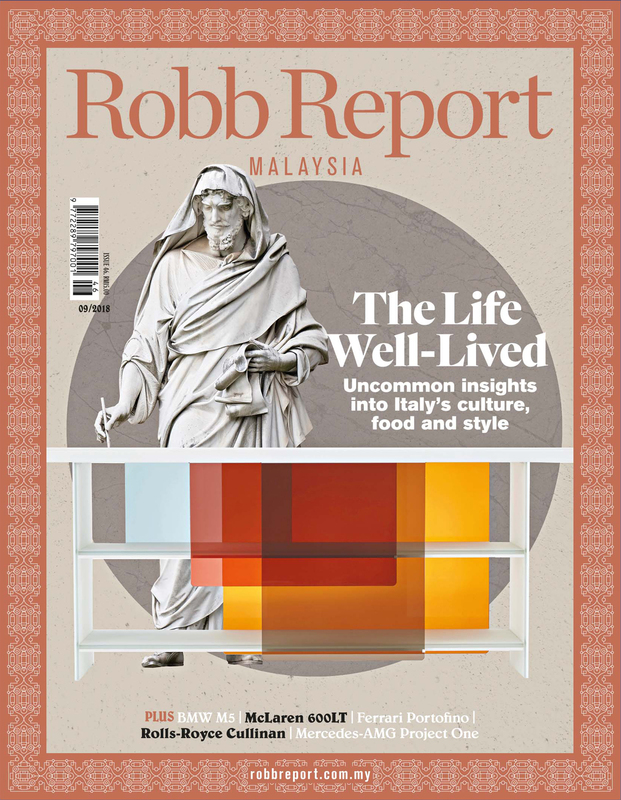 Here they share their penchant for high design and handcraftsmanship, timeless styles and emerging trends, and offer intriguing tidbits and insider tips for shopping, dining and more in their haute hometowns. 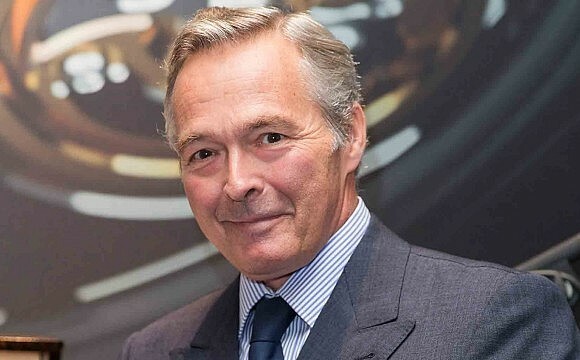 A seventh-generation member of France’s famous Cognac clan, Kilian Hennessy might have easily focused on the family business. Instead, the Sorbonne graduate, now 45, carved out his own niche as a perfumer: He founded By Kilian in 2007 and eventually caught the attention of the New York–based Estée Lauder Companies, which acquired his fragrance brand last year (he still serves as creative director). Just as refined as Hennessy’s nose is his sartorial taste, as seen in his preference for a perfectly cut dress shirt, a tuxedo jacket, and a pair of jeans. 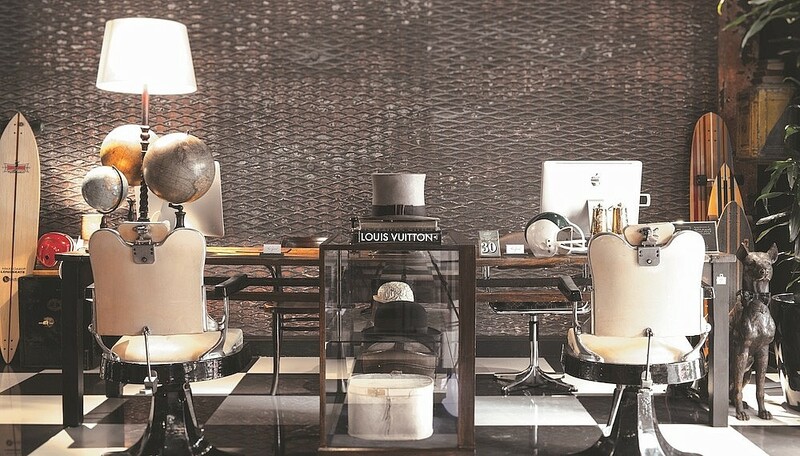 A true Frenchman, his style is redolent of minimalist elegance and quiet luxury. Savoir Faire – Parisian men innately have a sense of style. They have a natural sense for what can be worn with what and what cannot. As a man, there are a few rules you should follow. For example, you cannot wear brown shoes with a blue suit. You also don’t mix prints. If you are wearing a shirt with polka dots, you cannot wear a tie with polka dots. You don’t wear white socks with a suit, and you don’t wear short socks where you can see the hair of the legs with a suit. Those are a few mistakes that a man of style in Paris would never make. And it seems a little bit obvious, but it’s true that whenever you go outside of Paris, these are the typical mistakes that you see everywhere. 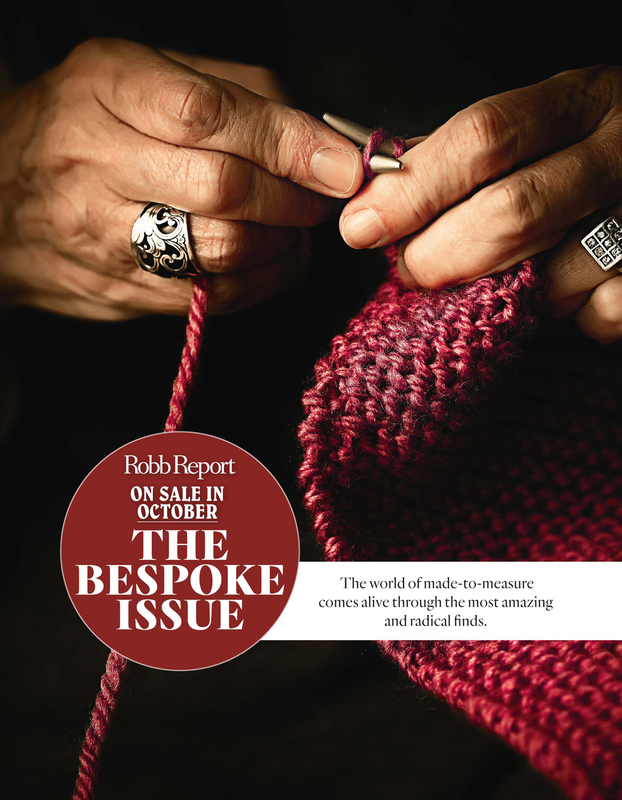 Tailor Made – Traditionally, there are English-cut suits and Italian-cut suits. The French tend to wear one or the other. But of course, over the last 10 years there is the new silhouette from France, which is the Hedi Slimane silhouette he created for Dior Homme. He really invented the ultra-skinny silhouette that didn’t exist before — very tight pants, a very tight jacket, no big shoulders and skinny lapels. That is really the most modern silhouette today, but I will say it is rare to see men over 50 wearing that kind of suit. Personal Best – I prefer to wear a skinnier silhouette. I have jackets from Hedi Slimane for Saint Laurent, Tom Ford and bespoke jackets from Savile Row. They are mostly tuxedo jackets and I usually wear them with skinny jeans. But sometimes I like to have a bit more of a shoulder, so I like to have a jacket that’s a bit closer to the waist. It makes my shoulders appear a bit bigger. My style is very simple: I always wear jeans, boots, white shirts, and jackets. When I go out, nine times out of 10 I’m in a tuxedo jacket. Feet Forward – If I’m looking for dressy shoes, when I’m wearing a three-piece suit for example, then I usually wear Berluti. When I’m wearing jeans and a jacket, I like to be in boots. I have boots from Hedi Slimane for Saint Laurent, Tom Ford and Christian Louboutin. Shirts Required – I get all of my shirts custom-made by my tailor in Paris. 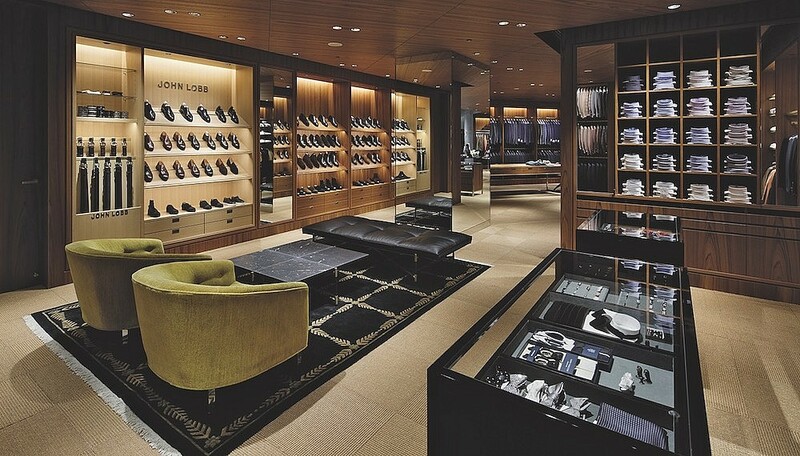 I go to JLR Paris, which is a bespoke shirt store on 50 Boulevard Malesherbes. You have all the cuffs and all of the necks in the world, and the shirts are really fitted according to your taste. 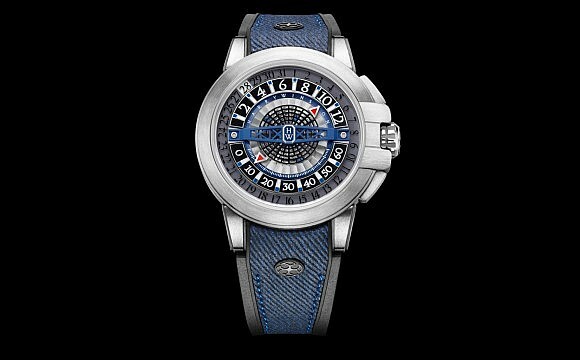 Great Time – Cartier is by far my favorite brand. I have one that is more for everyday and that is the Cartier Santos 100 with a silver frame and black crocodile leather strap in matte, of course. And then I have a Cartier Tank with a gold frame with the same black leather strap. Bottoms Up – I go to the Mathis Bar. 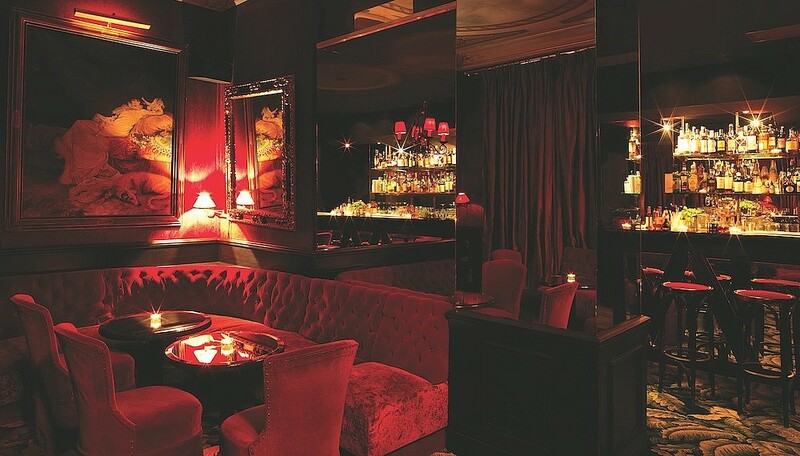 I also go frequently to [the bar at] Hôtel Costes, because no matter what day of the week you go, it’s always packed and there’s always a good vibe. If you are looking for drinks a little later, like 1:00 am, then I would go to Castel. It’s a private club. Sur la Table – For good-quality French food but nothing fancy, such as amazing French fries, foie gras and escargot, then you go to Chez l’Ami Louis. They have probably one of the best wine caves in Paris. For a fancy restaurant with an amazing view of Paris, then La Tour d’Argent is amazing. It’s on the third or fourth floor, and you have an incredible view of Notre-Dame. If you want to have really good food but just be at a bar with a friend or significant other, then my favorite place is L’Atelier de Joël Robuchon. They serve fancy tapas, and for me it’s probably one of the best restaurants ever. Fashion photographers know Alessandro Squarzi. 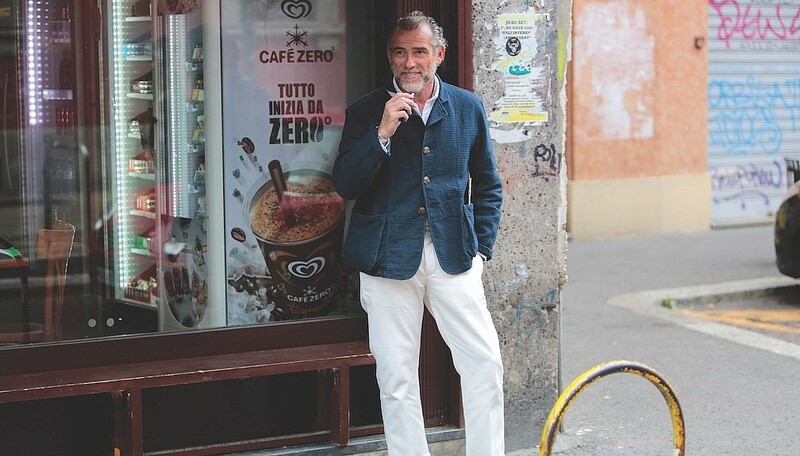 The Italian entrepreneur’s personal style — modern touches bolstered by the traditional tenets of Italian dressing — is often captured by street-style shooters in Milan, where he’s based, and other world cities. A consultant for several fashion companies and the founder of Fortela, among other brands, the 51-year-old has a refined bearing that extends well beyond his wardrobe. Getting Dressed – I like to mix my love for vintage with Italian timeless classic style. I like to call it gypsy-classic. 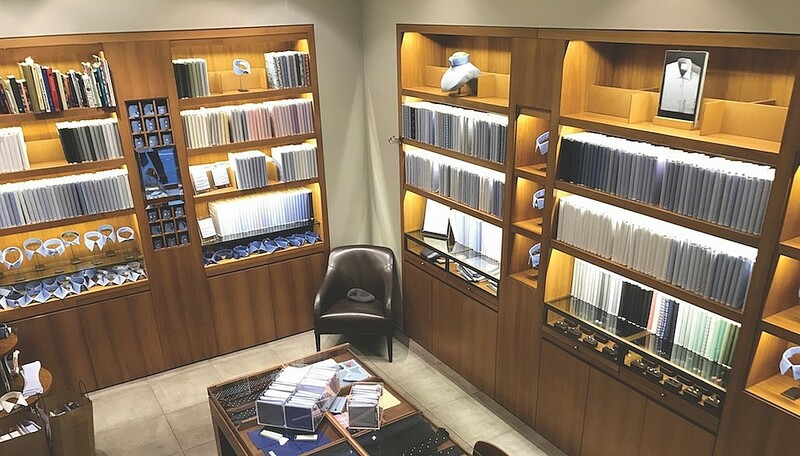 A Cut Above – My favorite tailor in Milan is Rubinacci, a family of tailors with a long history. Luca, the new generation, is extremely talented and also a very good friend of mine, so we have fun while he makes my suits. In His Shoes – Iliprandi; this store has the best selection of my favourite English and American shoes. Stefano Giulini is also a good friend. Every time I go shopping there it is a nice opportunity to have interesting conversations and exchange ideas. Buon Appetito – For a nice meat dinner, I recommend the Argentinian restaurant El Carnicero or La Quarta Carbonaia. The best fish dinner in the city is at the Langosteria Bistrot. I also love having lunch at the lovely Bacaro del Sambuco. Toast of the Town – Eppol bar, a new space that opened just in front of my house. It’s very young, friendly and always full of stylish people. True Romance – Potafiori, without a doubt. It’s both a flower shop and a restaurant — a “flower bistro" where you can have lunch or dinner in a picturesque setting while listening to old-fashioned music. Home Away from Home – For a laid-back and easy stay, I would recommend the Yard boutique hotel. Of course the Bulgari Hotel is also very nice — I often go there for happy hour. And the Straf Hotel is very fashionable. Point A to Point B – To work, I drive a hybrid Range Rover Evoque Autobiography. For fun, I drive a Mercedes-Benz G-wagen 63. And when I have time, I take out for a ride my old lady, a 1955 unrestored [Porsche] Speedster. Dialed In – I have a great passion for watches and have a small collection. I like to change them often. I wear both vintage and new ones. I have watches from Rolex, Patek Philippe and Omega. Lately, I’ve bought a Piaget Altiplano 38 mm, which I find very elegant. Very Treasured – My dad’s camel coat, an evergreen piece that every man should have in his closet. 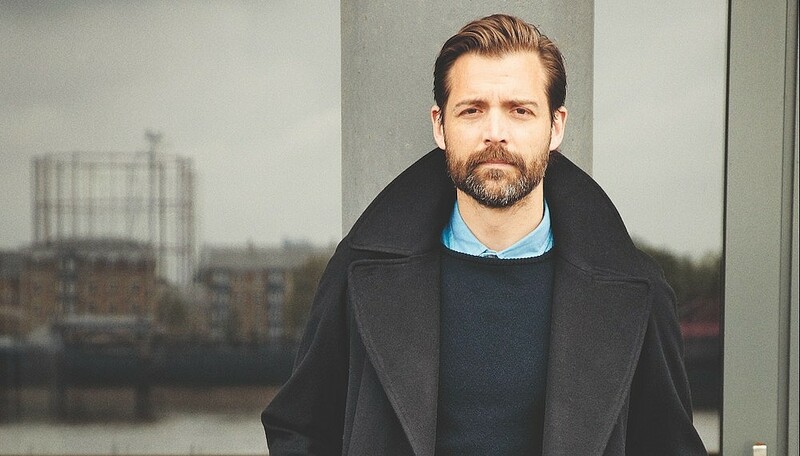 One of London’s fashionable men-about-town, Patrick Grant runs, among other concerns, the bespoke tailoring house Norton & Sons on Savile Row and the ready-to-wear label E. Tautz. He was also a judge on the BBC’s Great British Sewing Bee — a reality-TV sewing competition. The 44-year-old native of Edinburgh, Scotland, studied materials science in college and earned his MBA degree examining the regeneration of heritage brands. His takeaway? “You have to treat these precious brands with great care. Tread lightly on their history." London Style – It’s more modern again. In the 1970s we had an extraordinary peacock revolution. Then we retreated back to traditional clothes like covert coats. Happily, there’s now more innovation, partly because of London’s multiculturalism, partly due to greater informality. 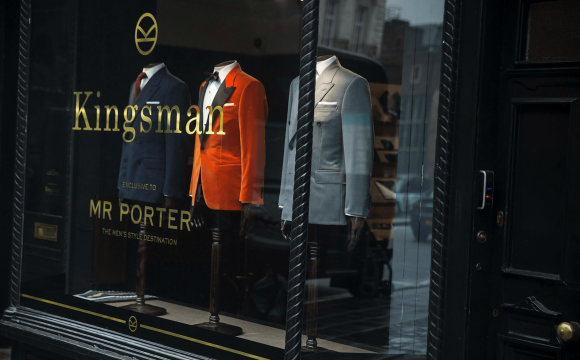 Savile Row – I’ve been here for 11 years, and it’s really smartened up. Some is overly commercial, but the great tailoring houses remain wedded to making the best handmade clothes for men. Favorite Things – Norton’s [Norton & Sons] for suits and shirts, Cleverley’s [George Cleverley] for shoes, Lock’s [Lock & Co. Hatters] for hats, Lobb’s [John Lobb] for shoes, Turnbull & Asser for shirts, Roja Dove for perfume and Burlington Arcade for all manner of things. Shopping Around – St. James’s is the great shopping area. From boots to hats to fine wines, there’s everything you need. 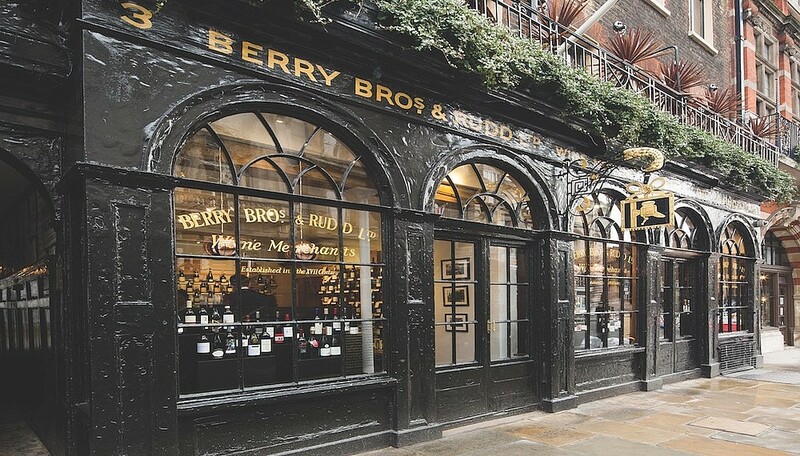 Berry Bros. & Rudd [a wine and spirits shop] is my favorite; it is like a Dickensian time capsule. Mix and Mingle – The Golden Eagle near E. Tautz and the French House in Soho. Food-wise, London has really soared in 20 years. In Brixton, Kricket and Trattoria Franzina are excellent, and in the East End, Lyle’s and the Clove Club. On the Move – I live in South London and cycle into Mayfair every day. I love cycling. 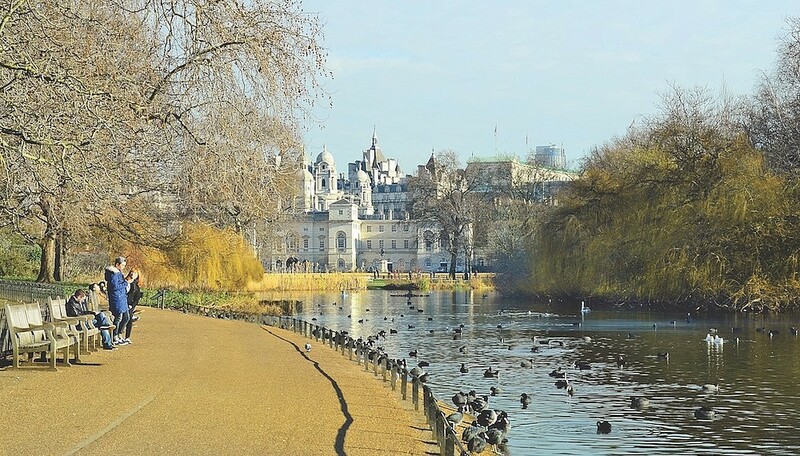 There’s nothing like cycling down the Mall, to St. James’s Park. Stop on the bridge here with Buckingham Palace to one side and it’s magical, as if Disney had created it. City View – It’s sad that rents are pushing creative people out, and I worry for London’s cultural vibrancy. Trending Now – Well, I’m wearing trousers with turn-ups and pleats. We ensure the cut is subtly moved forward and think that skinny trousers and 1960s-style slim, high-closing jackets have had their day. But ultimately clothes should reflect the man. It’s personality that matters in dressing. Style Advice – It’s not complicated. Wear a beautifully cut jacket and everything will be fine. 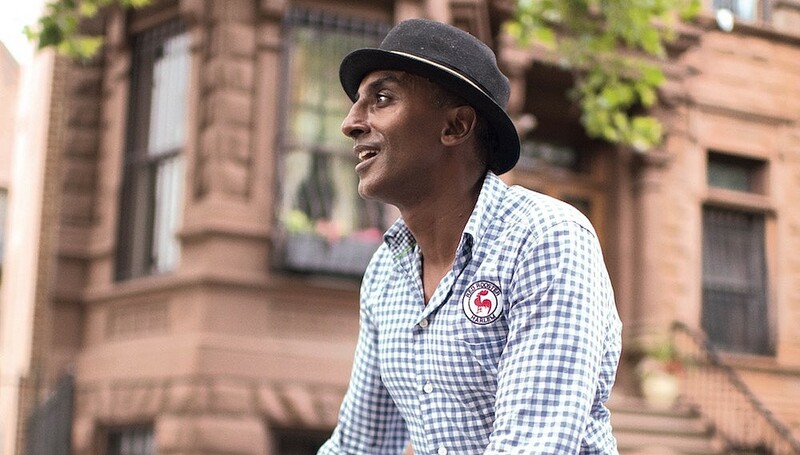 Chef Marcus Samuelsson is not only the winner of two James Beard Awards for his past artistry at Midtown’s Aquavit, but also the city’s undisputed king of soul food thanks to his Red Rooster Harlem restaurant. 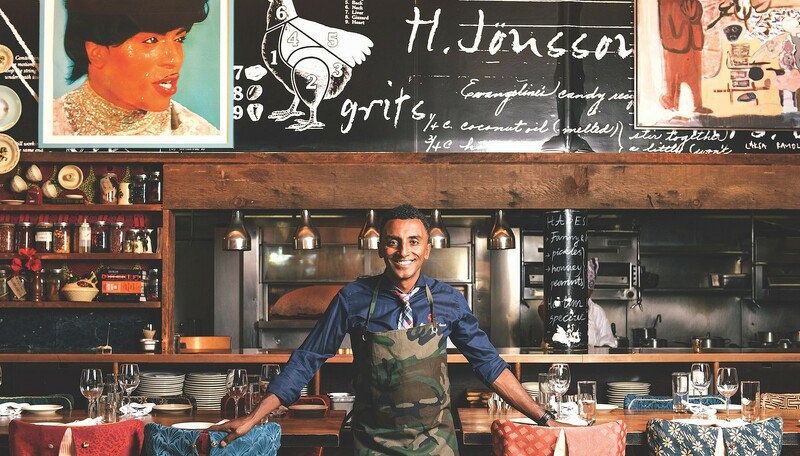 Born in Ethiopia and raised in Sweden, the renowned restaurateur and author (he owns 13 restaurants and has written six books) has become part of the fabric of Harlem’s hip scene, where his cuisine and Red Rooster itself pay tribute to the neighborhood’s history: The walls are lined with rotating works by local and notable contemporary artists. In his personal style, Samuelsson shows a knack for mixing bright colors and prints with an eclectic array of bow ties, hats, and scarves — sartorial ensembles as creative as his concoctions in the kitchen. Empire State of Mind – I’m always inspired by New York and especially the street culture. In Harlem, for example, you have no idea who has money and who doesn’t, which I love. People dress for success all the time. You see the guys with the hats and the three-piece suits with their cool sneakers. It’s a little bit Africa, a little bit French, but above everything it’s American. Fashion Plate – I always think of my style in terms of my African heritage for prints; I think about my Scandinavian roots in terms of design and art; and every day I have to speak to everyone from business owners and style icons to hustlers, artists and even dishwashers, so my scope is large. I mix my stuff up, so I can have a nice scarf and wear it with a pair of rough kitchen pants. I can rock that. In terms of more business attire, I would then play it very plain with some fun accessories, like a tie, a tie bar or gloves. Buying Time – I shop all over. I like to do high-low. I can buy something from a street vendor or Louis Vuitton. Today I’m wearing sneakers with some rugged jeans and a Louis Vuitton top with a David Hammond hat, and my socks are an African print. That’s what speaks to me in terms of colour, prints and aesthetics. 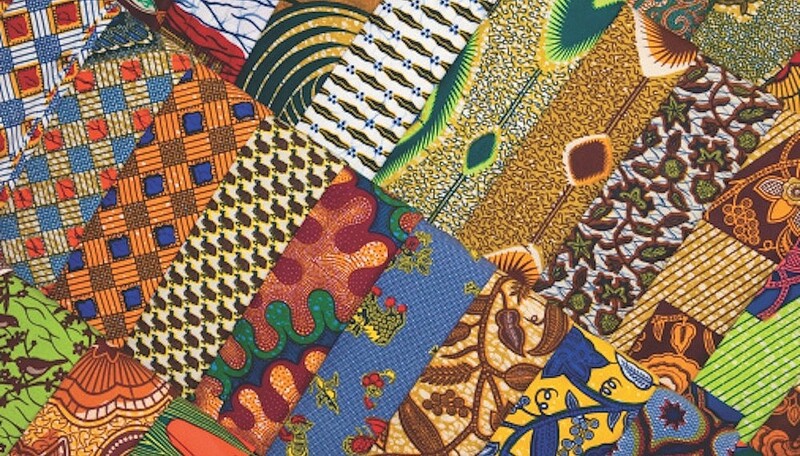 I get a lot of my African prints from the street vendors in Harlem. Recent Find – At Harlem Haberdashery I picked up a really beautiful Chinese patterned jacket that’s almost like a Yankees baseball jacket, and a beautiful handmade hat from one of the hatmakers here in Harlem. I try to support my local guys in the neighborhood. Closet Favorites – I have a really old-school Christian Dior jacket and a pantsuit from the ’70s that’s amazing. And then I have a beautiful three-piece suit from Louis Vuitton that’s old-school vintage. They don’t make them like that anymore. 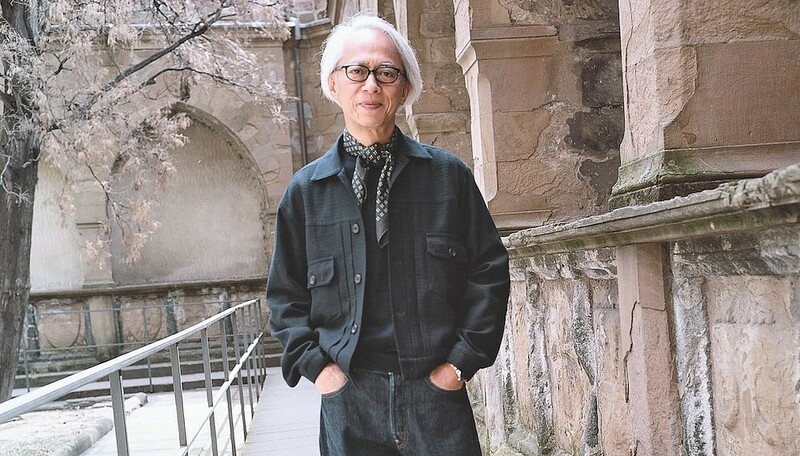 The senior adviser for creative direction at Tokyo-based United Arrows — the esteemed multilabel retail group with more than 200 stores in Japan — is Hirofumi Kurino, a leading figure in men’s fashion. He calls the capital home, but his meticulous yet adventurous personal style has garnered international attention on fashion websites and blogs. Don’t be misled by his immaculate gray coiffure: He’s avant-garde in the best sense, while never losing his appreciation of classic style. Particular enough to have his glasses custom-made since the 1970s and passionate enough to have a record collection with over 10,000 albums, he’s the perfect guide for Tokyo, a city that combines tradition and forward thinking, and where insider knowledge makes all the difference. 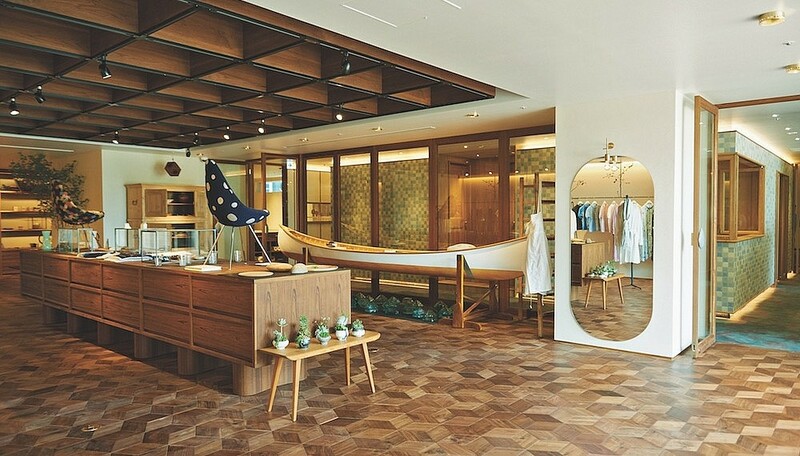 Smart Style – The Japanese have a genuine love of design that is rivalled in few, if any, cities to this degree. There is also a curiosity and high level of education among consumers. We like to study and we like to study fashion, which explains why there are so many influential magazines and editors in Japan. That, paired with the country’s sophisticated stores — from department stores like United Arrows to eccentric specialty stores — creates an awareness of fashion. Japan also has a natural aptitude at manufacturing, and over the years the country quickly built up a good standard of tailoring of men’s clothing. Art and Commerce – Call, at the Spiral Building, was originally the flagship/concept store of the Japanese brand Minä Perhonen from the designer Akira Minagawa. Mr. Minagawa is very talented, especially with fabric development. 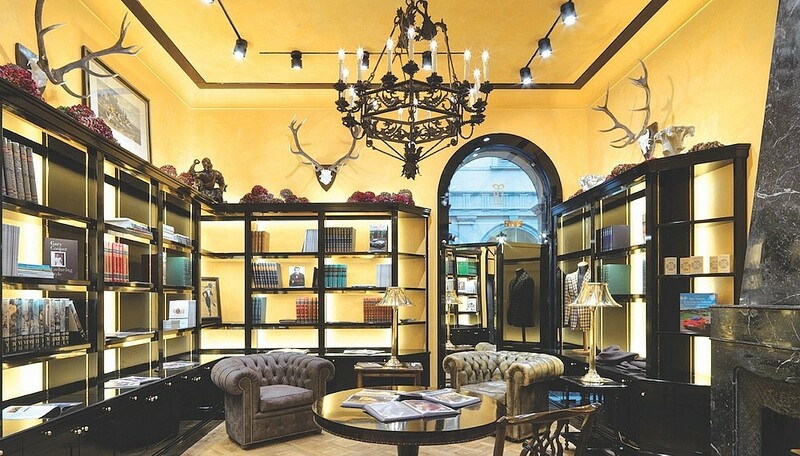 At Call, he merchandises not only his brand but also craft products from all over the world, like Venetian glass, Japanese porcelain, and other antiques. Shop Talk – Nostos Books at Shoinjinja Station on the Setagaya line has a good selection of old books and design magazines. [Another favorite is] Optician Lloyd, named after Harold Lloyd, the actor who wore memorable glasses. I have worn their custom-made glasses since the 1970s. Main Dish – Higuchi on Jingumae is a high-quality Japanese restaurant in a quiet location. The menu is based on the catch of the day, so it’s always a fixed menu. One of their special dishes is served using a burnt stone as a plate, so the food cooks as you are eating it. Music Man – On the wall of PB, a bar in Nishi-Azabu known for its record collection, there are always record covers displayed as a quiz for visitors; you have to guess the theme the records have in common. Mr. Fukuda, the owner, plays records for the customers from the 1970s and ’80s, like James Taylor and Hall and Oates — a very good choice.